You are invited to spend time with us in a beautiful, relaxing setting at the New Concord Bed and Breakfast. At the crossroads of a friendly and historic hamlet, New Concord is in scenic Columbia County, New York. 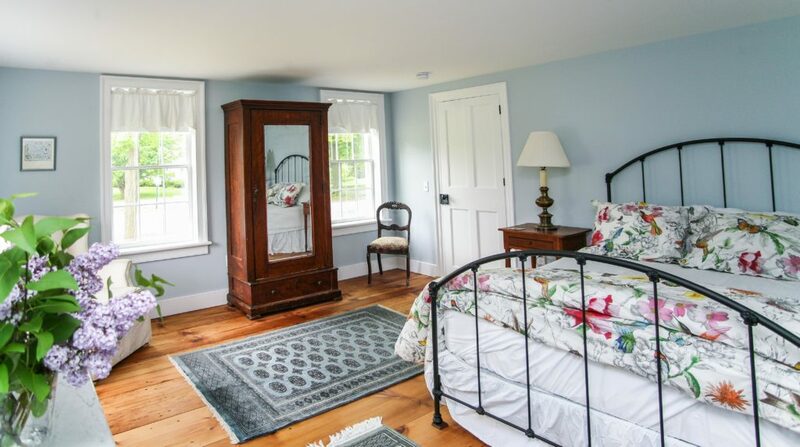 We are just minutes away from the cultural attractions of the Berkshires, historic sites and the antiquing treasures and chic shops of Chatham, New York and Hudson, New York. Every week you'll hear about a fantastic restaurant within easy driving distance. 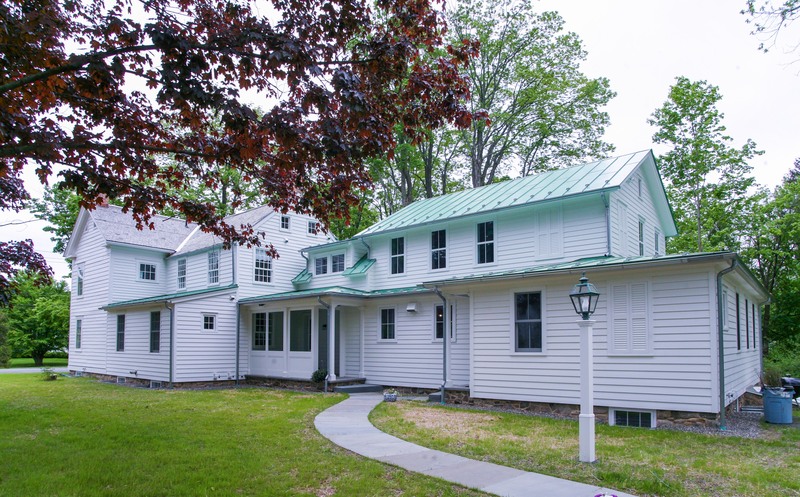 The original part of the B & B's structure was built in the 1780’s and has evolved and grown over time. 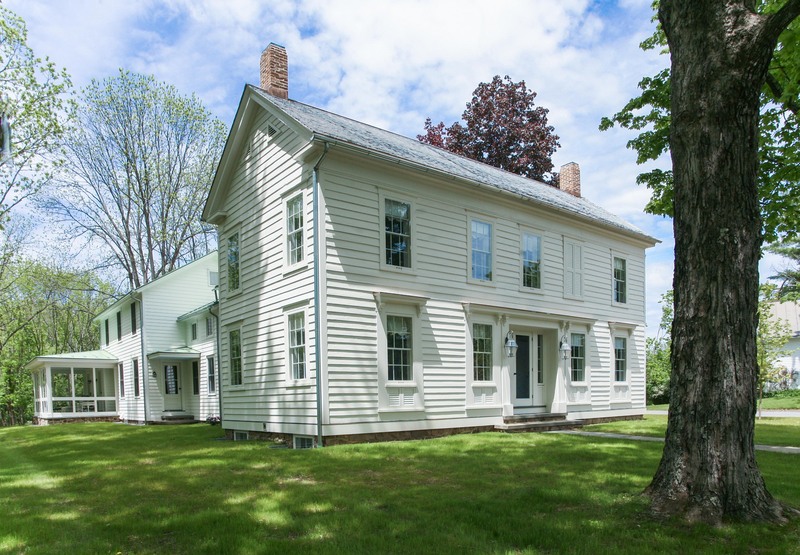 It was a stage coach stop (The Publick House), a secret location on the Underground Railroad, as well as a private family home. 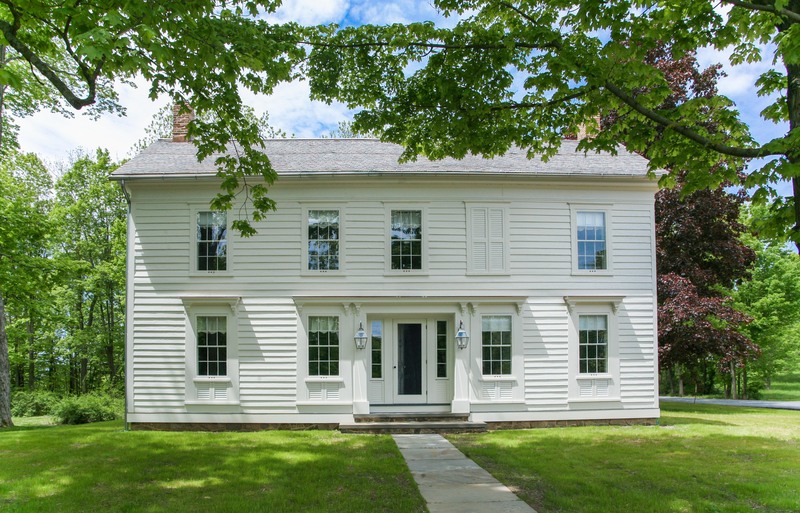 The innkeeper Nancy Vazac Jackson (who grew up in New Concord) is proud of the recent major three-year renovation that preserved many original details and added the modern amenities you'd expect. (Wi-fi all around!) Each of the four guest rooms has its own luxurious en-suite bathroom. Every morning, you'll be treated to a delicious home-made breakfast, sourced from local ingredients and farmer's markets. 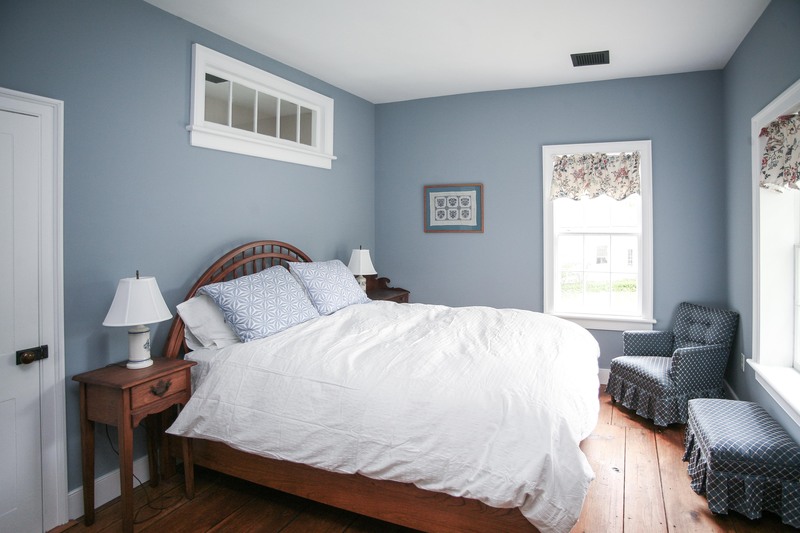 You'll appreciate the beautiful pine floors, the radiant heating system and the snugness of storm windows. In summer: air conditioning. A parlor on the first floor is open and welcoming--ask to hear our working player piano. In season, you'll enjoy our grounds including the second floor porch that overlooks a lovely lawn. Our setting at the crossroads affords numerous pleasant routes for a stroll or bike ride. 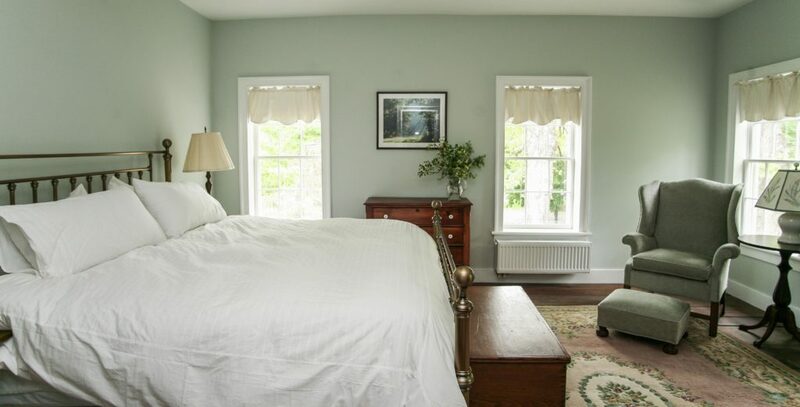 Reservations for the New Concord Bed & Breakfast are made by phoning us at 518-392-8088 or you can complete our contact form and we'll reply via email. Each of our rooms is named for a historic figure in New Concord history. 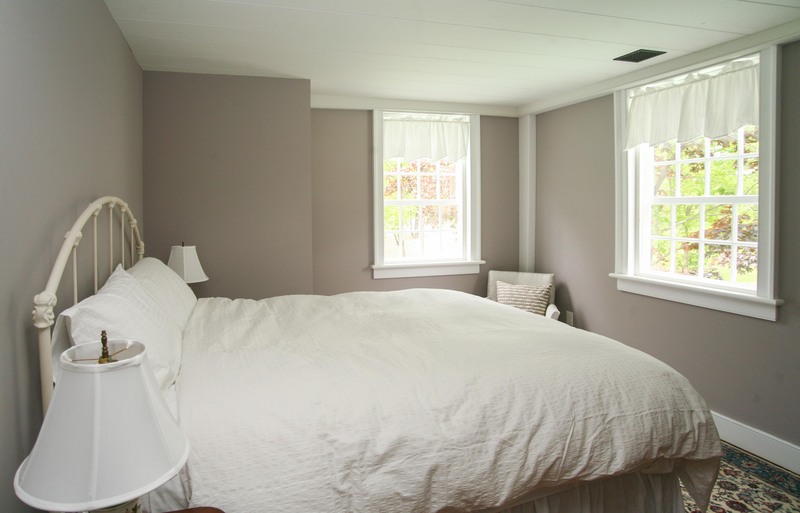 Here are the the 4 guest rooms at the New Concord Bed & Breakfast. One is on the ground floor; the other 3 are on the second floor. Details here. Located on the ground floor, Lovejoy Room has a comfortable queen-size bed and private bath en suite. Located on the second floor, Gardner Room features a comfortable queen-size bed and private en suite bath. Located on the second floor, Van Volkenburgh Room has a king-size bed and private bath en suite bath. Our largest guest room. Located on the second floor, O'Hare Room Room features a comfortable queen-size bed and private en suite bath. Convenient to many locations in upstate New York! 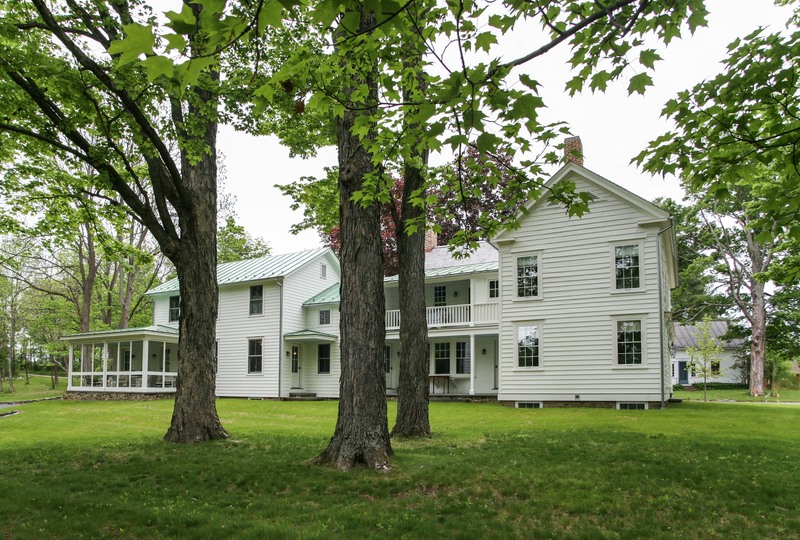 The New Concord Bed & Breakfast is the perfect place to stay if you are visiting or touring Columbia County, New York communities including Hudson, Chatham, East Chatham, Old Chatham, Canaan, Ghent, Austerlitz, Kinderhook and New Lebanon. We are also convenient to the Berkshires in Massachusetts, including Pittsfield, Hancock, Richmond, West Stockbridge, Alford, Housatonic, Great Barrington and Stockbridge. Many of our guests are looking to purchase real estate in the area or may be visiting nearby schools or camps.